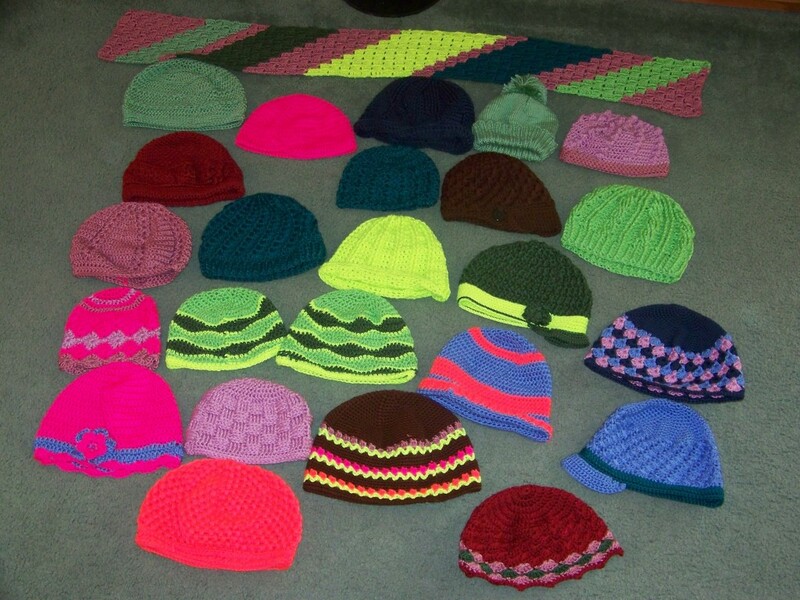 I purchased as much yarn as I could and decided to make hats for Cancer patients. 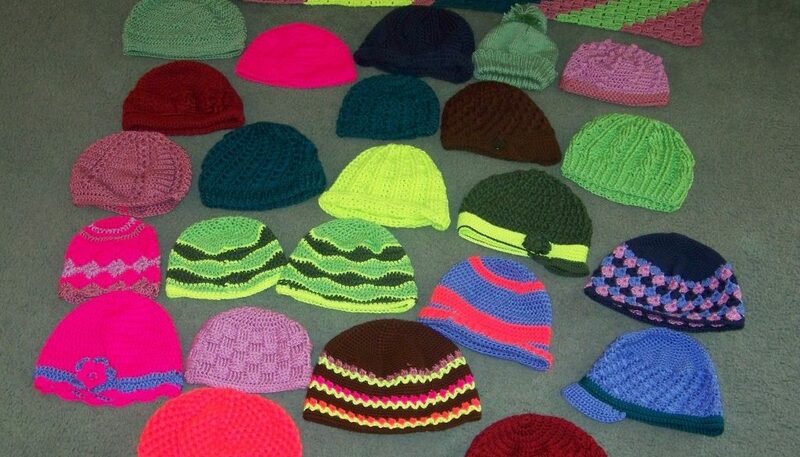 I ended up with 24 hats (and one scarf) that I sent out to the Cancer Hospital in Illinois (where many of my relatives have been treated). It felt so good to put my skills to use on something good and bigger than me. I vow to continue to donate finished items to good causes, of which there are many – Crochet for Cancer, Heart Scarves, Linus Project just to name a few. So many good people in need of a little something special and unique that there will always be a reason to crochet!